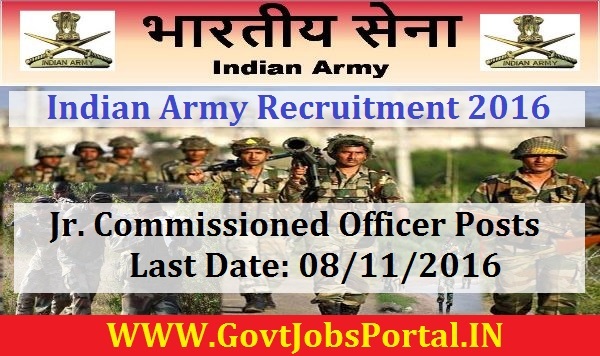 Indian Army recruitment for various job profiles on regular basis. Those who are looking for the Government jobs in India can apply for this Indian army recruitment process. Join Indian Army for a bright future. More information related to the eligibility criteria and other term and conditions is given below in this article. Read the complete article carefully before applying online for these Government jobs in India. As Per the Rules of Indian Army department. Indian Army Recruitment Rally 2018 will be held for eligible candidates of districts Bageshwar, Nainital, Udham Singh Nagar and Almora from 24 Nov 2018 to 30 Nov 2018 at Haldwani mil stn. Government job Online registration is mandatory and will be open from 24 Sep 2018 to 09 Nov 2018. The Admit Cards related to this Indian Army recruitment rally will be sent through registered e-mail from 10 Nov 18 to 16 Nov 2018. All eligible Applicants should reach the venue on given date and time as mentioned in the Admit Card. 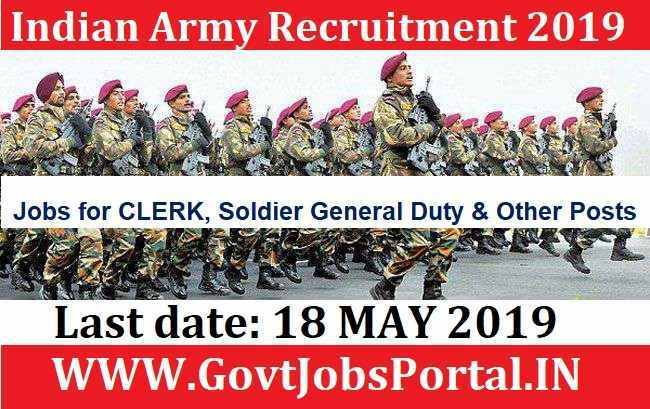 More information related to this Indian Army recruitment for clerk and other posts is given below in this article. Read the whole article carefully before applying online for these Army jobs in India 2018. 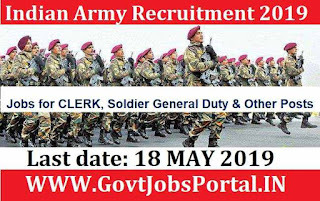 Indian Army invites application forms from eligible candidates for the recruitment of Jr. Commissioned Officer (Religious Teacher) Posts for RRT 83 & 84 courses. As per notification of Indian Army Total no. of posts is 72. Application mode is online. Online application forms will be available from 10th October, 2016. Last date for online register process is 08th November, 2016. The official notification has been uploaded and the information regarding these posts of educational qualification, age criteria, selection process etc is mentioned below. Candidates may download official notification from below link. Read information for Indian Army recruitment 2016. Staring date for submitting application forms online is 10th October, 2016. Closing date for submitting application forms online is 08th November, 2016. Eligible candidates must have done Graduation in any discipline with Madhyama in Sanskrit/ Bhushan in Hindi or equivalent/ BA with Sanskrit/ Hindi/ Punjabi/ Arabic/ Urdu as one of the elective (main) subject or equivalent from a recognized University. Check the official detail for the complete detail. Candidates should have their age between 27 to 34 years as on 01-10-2017 Otherwise they will not eligible for Recruitment process. Engagement of above positions would be depended on Written exam/Medical. Online application for these posts are required by department. Candidates have to apply online with true based information. Last Date of online apply is 08/11/2016. After this you cant apply. Before next step please read advertisement carefully. Fill Application carefully with true based information must same as 10th class certificate. Do not fill artificial information.